We provide interpreting services in English and Chinese (both Cantonese and Putonghua) for corporate and individual clients, ranging from a single telephone conversation to a business meeting or a large conference. 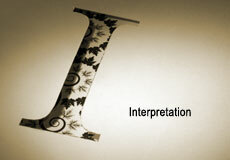 Our interpretation services fall into two main categories: simultaneous and consecutive. Our simultaneous interpreters are highly skilled professionals experienced in interpreting at formal occasions such as legislative council meetings, public conferences and seminars where simultaneous interpreting is required more often. Our consecutive interpreters are experienced in maintaining the flow of conversation while providing premium service. For more information, please call Elly at (852) 2531 3168, or send us an email at marketing@yaoshun.com.hk.